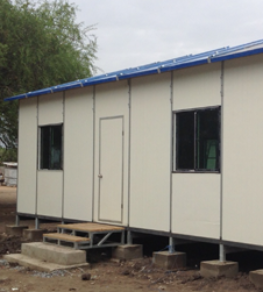 The IMA World Health gave Source Supply a brief to design and build mobile medical health clinics in South Sudan. The IMA World Health organization help to build healthier communities by collaborating with key partners to serve vulnerable people. The IMA vision is health, healing, and well being for all. Source Supply felt very privileged to help assist with such a worthy cause. During the civil war in 2013/2014 over 300 medical facilities were looted or completely destroyed. The IMA World Health aimed to replace and restore these facilities, by using a mobile facility. 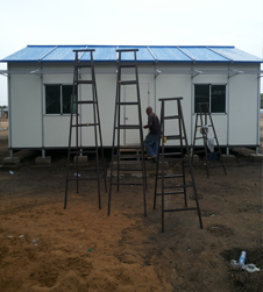 Source Supply had to design and build a clinic that was totally mobile. The design had to take into consideration the extremely poor road network structure which presented a range of problems just with transportation. The clinic required a waiting room, doctor’s surgery, delivery room and a drug dispensary – four rooms in total. 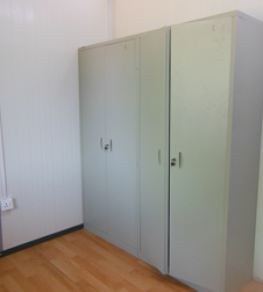 Source Supply needed to also consider how to power clinic as well as the equipment and furniture required. 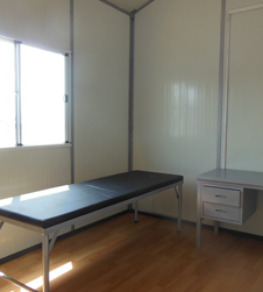 Source Supply worked with one of the major prefabricated housing suppliers to design a clinic that could be transported in a 20FT standard container. Source Supply then took to sourcing the rest of the equipment, furniture and appliances etc. Ensuring the complete checklist was achieved including solar power for running basic appliances and lights - Source Supply inspected, loaded and shipped the container to Mombasa. Upon arrival Source Supply ensured custom clearance and then transported the container to Juba by road. The clinic was originally assembled in the town of Bor, which had been very badly affected by the fighting. The clinic is fully operational and serving the surrounding community, The IMA World Health are fulfilling their mission with help of Source Supply.